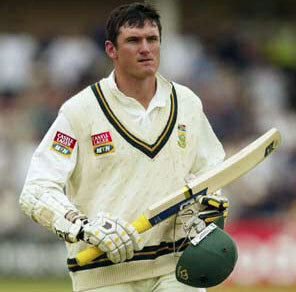 Sydney, Dec. 31: South African stars Graeme Smith and Dale Steyn may be focussing on overtaking Australia as the world''s No. 1 Test cricket side, but they can also reflect on 2008 as a stand-out year individually. The Proteas can attribute much of their success this year - 11 wins, two draws and two losses from 15 Tests, and series wins in England and Australia - to Smith''s magnificent batting and Steyn''s brilliant fast bowling. Smith has scored 1,656 runs at an average of 72, and his tally is the third-highest in a calendar year in the game''s history, only behind the 1,788 runs Pakistan''s Mohammad Yousuf amassed in 2006 and the 1,710 the West Indies'' Viv Richards tallied in 1976.